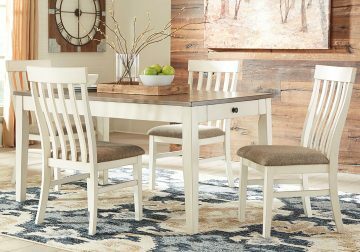 The Bardilyn Antique White 7 Pc. Rectangular Dining Set with Upholstered Dining Bench is the epitome of casual urban farmhouse styling. 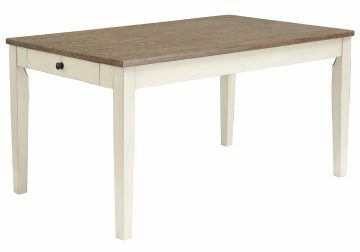 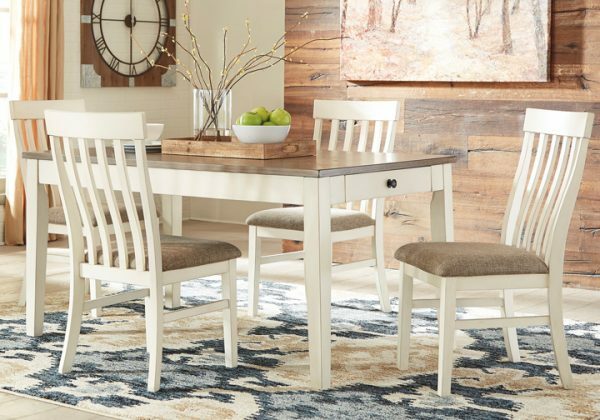 The two-tone finish features rich oak veneer tops with a rustic brown finish and contrasting farmhouse white table base and chair. 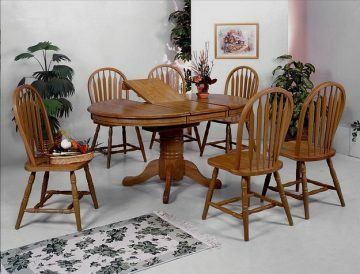 Drawers located at each end of the rectangle dining table offer convenient storage for placemats and dining utensils. With the ability to seat several people at a time, many country dinner parties are in your future. 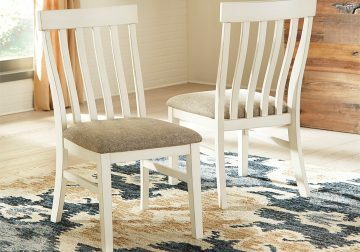 The soft cushioned seats are covered with a grayish brown textural fabric, bringing out the best in a neutral color scheme.